If you have read my other posts, you know that I have been coming to Brazil a lot over the last 13 years and I know well the annoyances that can crop up living in Brazil so I should be well prepared when things don't work like I think they should or things just take a long time to happen.. I haven't even settled in properly in Brazil and I am already experiencing some frustrations, not just bureaucratic but also just some small cultural differences. When I was at the Brazilian consulate in London for my visa interview, one of the things they told me was that I would have to register with the Federal Police within 30 days of landing in Brazil and from this was the first frustration that I experienced, It was partly my fault but certainly wasn't made any better by Brazilian bureaucracy. When I landed and was in the line at the airport for immigration and for my passport to be checked, I was very surprised to see that the Federal Police officer just opened my passport and stamped it no question about anything. I have never had any problems before coming into Brazil but I was at least expecting to be questioned about my visa and what I was going to be studying in Brazil but no.. the officer barely looked at me, opened my passport stamped it and shouted Neexxt. I got my luggage met my girlfriend that was waiting for me and then we left.. I knew that my girlfriend had a friend that worked in a federal police office, so I asked her to ask her friend where I needed to go to register (this is another story..) and after been told various things and finally being told by more than one person that things with the visa get sorted when you leave the country and to not worry about it, thats what I did.. I forgot about it! The next part of the story is that I wanted to find somewhere that I could open a Brazilian bank account, the first Bank I tried was Banco do Brasil, they told me that it was impossible for a foreigner without a permanent visa to open an account. I found this a bit strange, so I researched it a bit myself and found that it was possible and that HSBC seemed to be the best bet. I looked to see what documents I needed to present to open an account and saw that I needed an RNE (identity card). I didn't know what the RNE card was at this point so I researched this and found that this is what registering at the Federal Police was about and that to have this card is a legal obligation! I went to the page on the Federal Police website to find what I needed to do and found an online application form for the RNE. Taking into mind that this card is just for foreigners, its quite amusing that the page is in Portuguese and offers no other translation! 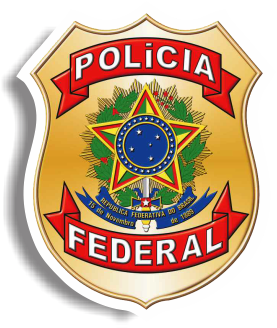 I had to make an appointment to go the Federal Police but it said if you were here longer than 30 days (which you get fined R$8.50 every day) then just go to the office and wait till there is a available space. Eventually I got to the airport, the office was pretty empty, maybe 3 other people waiting. Despite the website telling me just to go there without an appointment they said they were too busy and couldn't give me an appointment until a month later! (By which time I will have over R$400 fines) What really takes the piss is, they require it all to be done in 30 days but they couldn't even give an appointment within a month themselves! On top of that, the documents listed on the website that you are required to take, aren't all of the documents that you need so even if I had done everything correct and got an appointment, I would have got there and then be turned away because I didn't have all the documents that I needed!! I mentioned briefly the Bank. After being told that foreigners can't open a bank account in Brasil, I decided that I would transfer some money from my account in the UK to my girlfriends bank account, before doing so I asked at Banco do Brasil who my girlfriend has an account with if I would incur any taxes at the Brazil end and they told me “noo! Just from the account your sending from” and I thought great! Later my girlfriend received a letter saying the money was waiting for her and that there will be several taxes incurred.. Ridiculous! I talked to my Dad, about these things I was getting frustrated with and as a sympathetic Father that he is, he said “you chose to go live in Brazil” haha! Of course he is right though.. I chose to come here and not just that I fully understood the way things are here, its not the first time I have been to Brazil, but now Brazilian bureaucracy was being applied to me it didn't stop it from driving me up the wall and i'm sure I have barely experienced anything yet! There are a few other things that I am finding a little difficult, the main one is more of a cultural difference. It's food. I really like the staple brazillian diet: black beans, rice and meat. I have only been here 2 months, but its starting to get old.. I really miss having different things to eat every day and when I am living on my own (at the moment I'm living with my girlfriends family) I can be more in control of that. It's not a complaint I have, definitely not, its just something I miss! I have several Brazilian friends including my girlfriend that have lived outside of Brazil and the thing they miss with food is always the reverse. In the UK, we have a lot of foreigners that are living and working there. I often hear them complaining freely about how things are better in their own countries, whether its food, the weather, some kind of service or the country itself. I understand when you are living somewhere else that isn't where you were born or where you lived the majority of your life, you start to miss things, you get frustrated with things because its not done the way its done back home but I don't think this is the outlook on life we should have. I'm determined while i'm living here in Brazil, no matter how frustrated I get because things aren't working properly or I just don't think thats how something should work or how I don't think Brazilians know how to cook meat, with exception to at a churrascaria, (I'm just kidding!.. Kinda :p) I'm determined to not get negative in my outlook on life here and remember why I wanted to give having a life here a try. Se você leu os meus outros textos, já sabe que eu tenho vindo ao Brasil várias vezes nos últimos 13 anos, então eu já to por dentro das coisinhas irritantes que podem matar o clima de estar morando aqui no país. Por isso mesmo, eu já devia estar bem preparado pra quando as coisas não funcionassem como deveriam ou para a demora que podem levar pra acontecer... Ainda nem me acomodei direito no Brasil e já estou passando por algumas frustrações, não apenas burocráticas, mas também de diferenças culturais. Quando eu estava no consulado brasileiro, em Londres, pra minha entrevista do visto, uma das coisas que eles me disseram foi que eu tinha que me registrar na Polícia Federal dentro de trinta dias após chegar ao país. A primeira frustração já começou aí. Ok que foi meio que minha culpa, mas o a burocracia brasileira também não ajudou em nada. Quando eu cheguei e estava ainda na fila do aeroporto, pra imigração e pra o pessoal conferir meu passaporte, eu fiquei surpreso de ver que o oficial da Polícia Federal só abriu meu passaporte e carimbou sem nem perguntar nada. Eu nunca tive nenhum problema antes, na hora de entrar no Brasil, mas eu tava pelo menos esperando que ele fosse me perguntar a respeito do visto e o que eu ia estudar aqui no país, né? Só que não. O cara mal olhou na minha cara, abriu meu passaporte, largou a carimbada e gritou: PRÓOOOXIMO! Peguei minha bagagem, encontrei minha namorada que estava me esperando e saí... Eu sabia que ela tinha uma amiga que trabalhava na PF, então pedi pra que ela perguntasse pra tal amiga onde é que eu precisava me registrar (essa resenha já dá outra história...) e daí, depois de várias pessoas me dizerem um monte de coisas diferentes, finalmente me falaram mais de uma vez que as coisas do visto se resolvem quando você sai do país. Me disseram pra não me preocupar e foi isso que eu fiz... Esqueci completamente do negócio! A próxima temporada dessa novela é que eu estava tentando encontrar um banco brasileiro no qual eu pudesse abrir uma conta. O primeiro banco que eu tentei foi o Banco do Brasil. Eles me falaram que era impossível pra um estrangeiro, que não tivesse um visto permanente, abrir uma conta. Achei meio estranho, então pesquisei a respeito sozinho e descobri que era possível, sim, e que o HSBC parecia ser a melhor opção. Olhei pra ver quais os documentos necessários pra abrir uma conta e vi lá que eu precisava de um Registro Nacional de Estrangeiros (RNE) - tipo uma carteira de identidade para gringos. Naquele momento, eu estava mais por fora que bunda de índio a respeito do que significava o tal do RNE, então pesquisei um pouco a respeito e descobri que esse era o motivo deu ter que ir na Polícia Federal pra me registrar e que ter esse cartão é uma obrigação legal! Fui na página da PF na web pra conferir o que eu precisava fazer e encontrei um formulário online pro RNE. Levando em consideração o fato de que o registro é feito para estrangeiros, é bem interessante citar que a página inteira estava em português e sem opção de tradução! lol Eu tive que agendar um dia pra ir na PF, mas o site dizia que, se você estivesse no país por mais de 30 dias, podia ir lá no escritório da Polícia e eles te encaixariam em algum espaço disponível para atendimento. Ótimo, já que cada dia, além desses 30 iniciais, custa R$ 8,50. Depois de uns dias, eu fui no aeroporto e o escritório estava bem vazio, só com umas três pessoas esperando. Apesar do site dizer que era pra gente ir mesmo que não tivesse horário marcado, eles disseram que estavam muito ocupados e que não podiam abrir nenhuma vaga pra mim até o final do próximo mês! (Sendo que, daqui pra lá, eu já vou ter que pagar mais de 400 reais de multa). É mole? Eles pedem pra gente correr atrás do preju e resolver tudo em 30 dias, mas eles mesmos não têm horário aberto pra o período de 30 dias! Além disso, os documentos que o site manda você levar, não são tudo que você precisa, então mesmo que a pessoa faça tudo nos conformes e tenha o horário agendado, vai aparecer lá e depois ser mandado pra casa por não ter os documentos certinhos. Eu falei meio por cima sobre o banco, né? em, depois de terem me dito que estrangeiros não podiam abrir conta no Brasil, eu decidi que ia transferir uma parte do meu dinheiro que estava na conta inglesa pra conta da minha namorada. Antes de fazer isso eu perguntei ao Banco do Brasil, que é o banco da boyzinha, se o governo ia cobrar algum imposto e tal. Eles disseram que "nãaãaãaao! Só da conta que estão mandando" e eu pensei: "Ah, que beleza". Dias depois, minha namorada recebeu uma carta dizendo que o dinheiro estava esperando por ela e que várias taxas seriam incluídas no recebimento da bufunfa... Pense! Falei com meu pai sobre todos esses babados e, como um pai cheio de palavras de conforto que ele é, ele disse: "você que escolheu ir morar no Brasil" haha! Claro que ele tem razão, né? Eu escolhi vim pra cá e não só isso, mas eu super entendia as coisas que acontecem aqui. Não é a primeira vez que eu estou vindo ao Brasil, mas agora que a onda da burocracia brasileira tá molhando meus pés, não deu pra ter outra reação senão ficar pirado da vida. Pior que eu tenho certeza que ainda não vi foi nada! Tem algumas outras coisinhas que eu também estou tendo dificuldade de lidar e uma delas é mais relacionada à diferença cultural. É a comida. Eu super gosto da comida tradicional brasileira: arroz, feijão e carne. Mas eu só estou aqui há dois meses e já comecei a enjoar... Eu to sentindo falta de comer as coisas diferentes que eu comia todo dia e, quando eu for morar sozinho (no momento, estou morando com a família de minha namorada), vou poder controlar mais o que eu como. Não é bem uma reclamação que to fazendo, não mesmo, mas é uma coisa da qual eu sinto falta! Eu tenho vários amigos brasileiros, incluindo minha namorada, que moraram fora do Brasil e o que eles sentem falta daqui é sempre da comida, mas ao contrário do que eu estou sentindo haha. No Reino Unido, nós temos um monte de estrangeiros que estão morando e trabalhando por lá. Eu sempre escuto a galera reclamando de como as coisas são melhores nos países de onde eles vêm, seja a comida, o clima ou outro tipo de serviço que o país em si oferece. Eu entendo que, quando você está vivendo num país que não é o que você nasceu ou onde viveu a maior parte da sua vida, você começa a sentir falta das coisas. A pessoa começa a se frustrar com algumas coisas que não são feitas do mesmo jeito que no país de origem, sabe? Mas eu não acho que a gente tem que olhar desse jeito pra vida. Nesse período que eu estou vivendo no Brasil, mesmo que eu me frustre bastante porque as coisas não estão funcionando direito ou porque eu acho que não estão funcionando, ou mesmo que eu ache que os brasileiros não sabem cozinhar carne, com exceção das churrascarias (brincadeira haha :P)... Enfim, mesmo com tudo isso, eu estou determinado a não olhar pra tudo de forma negativista. Vou sempre me lembrar que eu que decidi tentar vir morar aqui.
" Eu é que decidi vir morar aqui, foi uma escolha minha e eu tenho que me adaptar ao Brasil porque o Brasil não vai se adaptar a mim haha :P ". E digo mais, tenho muitos amigos que viveram e ainda vivem aqui, e os que melhores que se adaptaram aqui, foram que tiveram na cabeça que Brasil é Brasil, e minha terra é minha terra, aqui é um novo começo, uma nova forma de ver o mundo! Aprender, amadurecer e ser feliz das diferentes formas que existem no mundo. Relaxe e aproveite! Brinque com essa experiencia. E ame muito! Sobre a comida do brasil, eu acho aqui na Bahia o lugar com mais variedades, a gente sugou muitas comidas do brasil e mundo e temos um culinária própria maravilhosa! Se permita fazer viagens gastronomicas aqui em salvador. Temos muitos restaurante a kg que servem a mais variada comida. Se vc estiver pela Pituba, indico o Panda que fica por lá, ótimo preço, qualidade e variedade! Obrigado por comentar! É bom ouvir um feedback positivo e obrigado pela sugestão. Vc poderia fazer algo do tipo em relação a Bahia, e tals. I lived in the UK for 6 months and I can say it was pretty hard to sorting out visa issues as well, since I arrived in the airport the guy that was supposed to check my visa was very rude with me and I felt I was not welcome in the country (even though he was a Japanese guy so he might be a foreign too lol). Sounds like you did very little research or reading before arriving or you would have known many of these issues as they are discussed widely on many ex-pat sites. Yes it seems I didn't do enough research, but now I know and will be more aware of things with other situations. Thanks for reading.